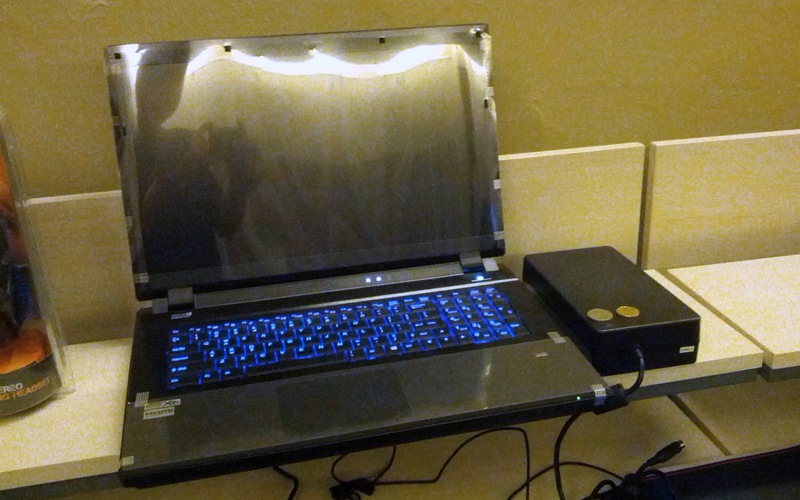 What does it take to power a dual-graphics-card gaming notebook? 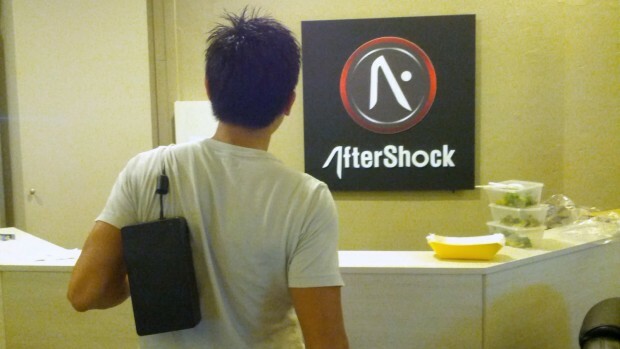 You may have heard about the ridiculously overpowered 17.3-inch AFTERSHOCK TITAN gaming notebook from various media reports. But do you know what it takes to power the dual graphics card machine? Yes, that humongous black brick which AFTERSHOCK PC marketing manager Joe Wee has slung over his shoulder in the photo above is the answer. The AC power adaptor for the TITAN notebook weighs the same as two ultrabooks, according to Wee, and is able to output 300 watts of power — as much as what the power supply units for some small desktop computers can push. Or maybe it wasn’t a joke. 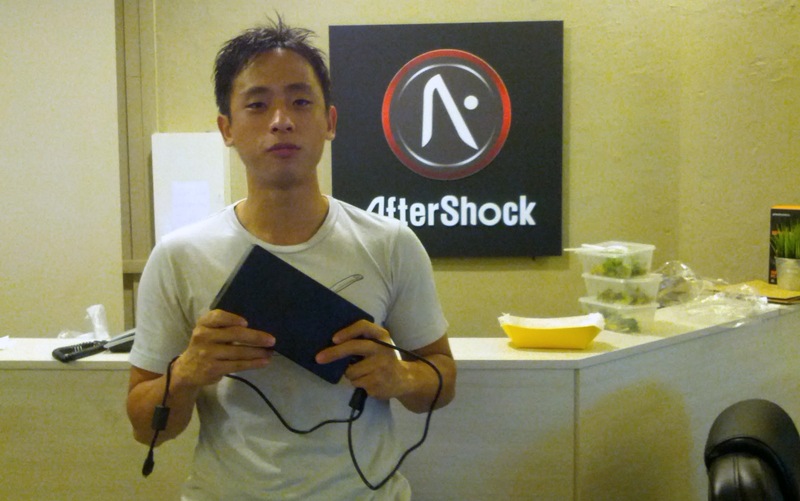 AFTERSHOCK PC marketing manager Joe Wee with the TITAN gaming notebook’s enormous power adaptor. Disclosure: AFTERSHOCK PC did not ask or request for this article nor was any compensation in cash or kind exchanged. 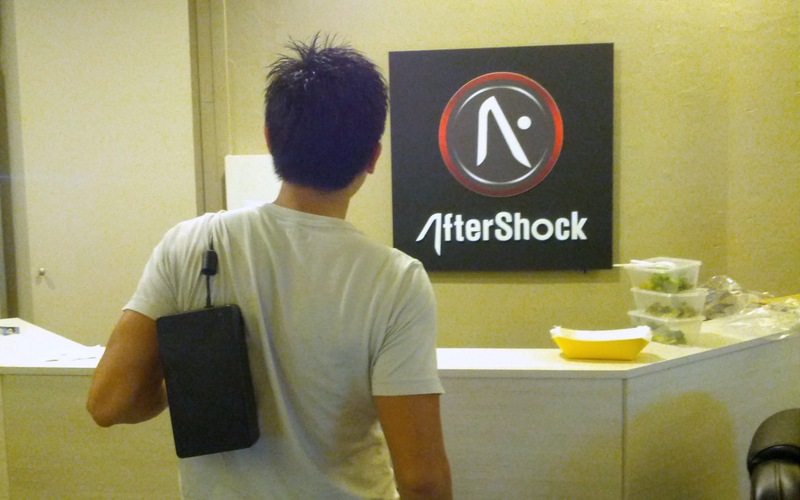 I was just visiting their shop and found the power adaptor for the TITAN ridiculously… TITANIC.